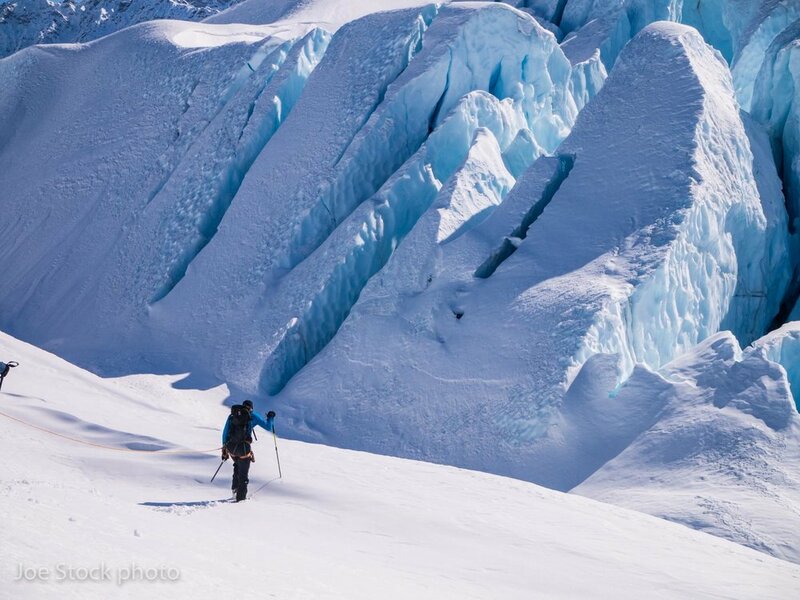 Joe does a few Alaska mountaineering trips each summer. In August and September he guides in Chamonix. Ice climbing is available in winter around Anchorage and all year at the Matanuska Glacier. Please check Joe's availability and contact him with your trip idea.